Nicholson’s pubs are known for their individual style, exciting stories, and charming personalities - and The Woodins Shades is certainly no exception. Dating back over 150 years, our pub has a rich history and has long been a favourite meeting place for the traders of Spitalfields Market and Petticoat Lane Market. Many people don’t know that, in the Middle Ages, the historic Sunday street market was in a tree-lined country road called Hog’s Lane, possibly because pigs were kept in nearby fields! 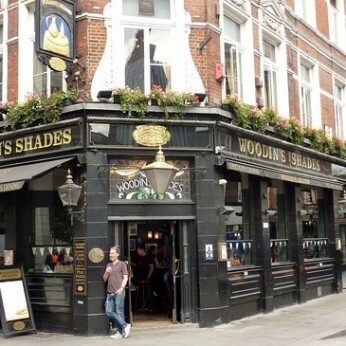 The Woodins Shades is a great spot near you to catch up with friends, relax with family, chat with colleagues, and generally enjoy the finer things in life. Running for six weeks, from 11th September until 22nd October we are celebrating beer with the National Beer Showcase 2017. We will feature up to 28 new beers from Britain’s best breweries with events including guest talks, workshops and tastings.